Diamond wheels last for years and stay flat for accuracy. Get coarse to mirror-finish polishing and precision sharpening without heat using the GRS Power Hone. When selecting both a Power Hone Complete System and diamond wheels, check which wheels are included before ordering. 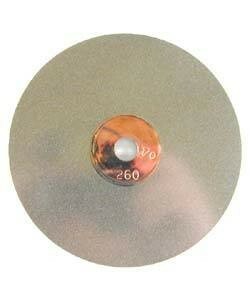 Diamond wheels for the GRS Power Hone are available in a variety of grits.